I was sawing a poplar log that came out of a yard and sawed into a mule shoe right in the middle of the log. That made the teeth fly, the band ended up about as smooth on the front as it was on the back.the log was about 16’’ diameter with no sign of metal in it. Did Ya find the rest of the mule in there too? Anytime a log comes from around a house or barn one can expect to find metal and history of it’s growth while sawing. OK somebody has to bite hook line and sinker. 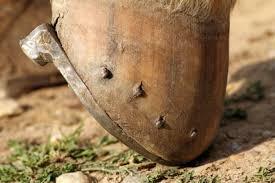 Horse shoes are kinda round, mule shoes are longer and narrower, completely different shape. Maybe some one will post pictures. Hey, no problem, we have a whole section for that. So then… I give up. What’s the difference? 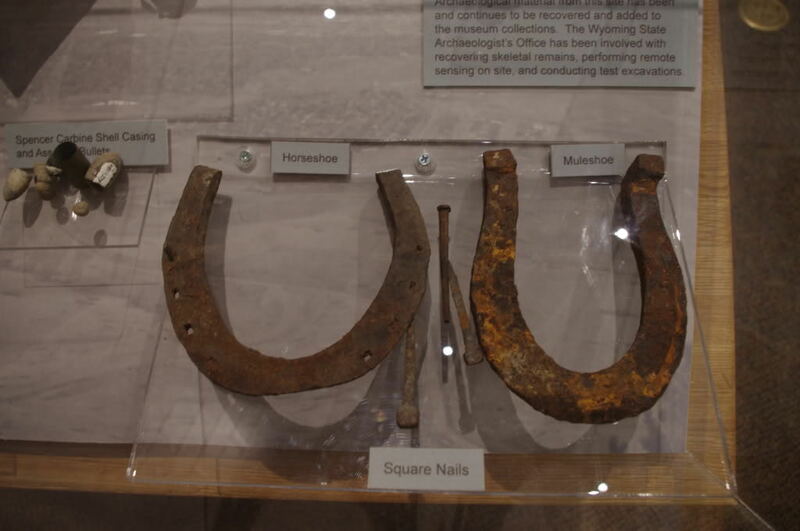 So it looks like what everybody uses for a game of “horseshoes” are actually muleshoes? Not any difference in the shape of the shoe but usually a little smaller . There is an old mining town a few miles from me and the old timers said they would use hinnys for pulling the mining carts because the roof were so low and the hinnys were just a little taller than Shetland ponies. That’s a real piece of history you have there fellows, absolutely.Now days they like working with 100 feet at a time,and 6 feet under in debt. Trail rides are pretty poplar around here ,I have been out and come across a horse trail and I would make a statement. Looks like a couple of mules come down the trail this Morning…The ones that were with me would give me a odd look like I was trying to be a wise guy or something. but I guess they didn’t wont to look dumb so they never ask how I knew it was mules. If you like history below is a link to a spot 10-12 miles north of me. My Grandma would tell stories about hiding horses and mules here during the war. This is not about mule shoes, but when sawing old timber it was common to saw into telephone insulators, when the first telephones came in they would just nail the insulators to trees instead of putting up poles. Hi Jim G, That sounds about like they are doing over in liberia ,africa.I know i am getting off subject so back too horse shoes,why or how are they horse shoes,i know a horse aint going too walk around on horse shoes unless there feet were as big as horse shoes, wait a minute i google’d horse with shoes,and i gess they screwed them too there hoof, gess i am not a farmer or horseman, we are never too old too learn.I barely know what horse power is except it seems too put out more power with 11 too one than the 9 too one compression pistons.SWEM My grandma had some horses for a few years,when i was about 8 or 9 years old,we got on the horse and it went fast and hard too control,caint remember what kind of horse,she had a white stallion at one time. We all have Hinny’s. Some big, Some small, but all of them are behind us.